JASPER -- The 40th Annual Jasper Strassenfest kicks off today in the courthouse square. Opening ceremonies are this evening. There’s lots going on today to kick festivities off. The Children’s Box Parade will be this evening at 5:30 in front of the police station. Registration is from 4:45 – 5:15 this afternoon. The booths open from 5 – 11, carnival rides from 5 – 10. The Celebration Singers will perform on the East Side of the courthouse on the steps from 5:45 – 6:15. Then, grand opening ceremonies on the main stage at 6:15 and, of course, the keg walk to the beer garden for the taping of the first keg and brats. The WITZ Guitar Pull will run from 7:30 – 9 on the main stage. A Polka band from 7 – 12:30 in the beer garden. The Stein Holding Contest at 8 – also in the beer garden. Log Sawing at the main stage tonight from 9 – 10:30 and, you can’t miss the Polka and Chicken Dance Contest at 10 in the beer garden. 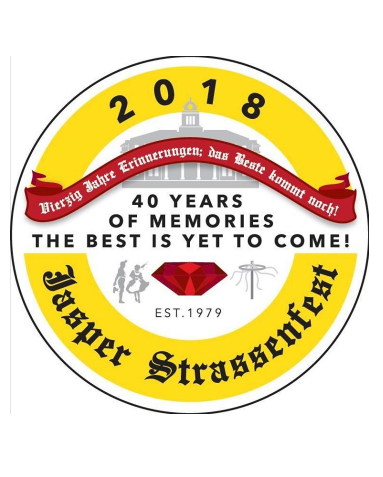 For a full list of events, and more information, log on to jasperstrassenfest.org. And, of course, you can expect heavier than normal traffic on area roads today through the festival which ends on Sunday. Be sure to use caution, especially in the area of the courthouse square, as many people will be crossing Newton and other streets to get to the festival.